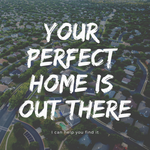 With over 20+ years of Real Estate experience, we strive to make your home buying & selling process as seamless as possible. We are customer service focused, meaning you are our number one priority! !